I’m not much of a jewelry fan. I wear clip earrings and my wedding ring, I have a few favorite necklaces, and that’s about it. But during the Regency, a lady and gentleman had to put on much more of a show, particularly for special occasions. Jewels, and jewelers, were required. 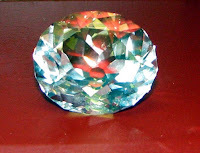 The role of jeweler was to set precious stones. Usually these were natural, like pearls or diamonds. But for the right price, some jewelers were amenable to setting cut glass or paste reproductions (should your family have fallen on hard times but needed to keep up appearances). They might set these stones in rings, lockets, tiaras, cravat pins, brooches, necklaces, bracelets, earrings, or items like snuff boxes or vinaigrettes. Locating a jeweler was as easy as journeying to Bond Street in London, although most major towns had at least one. I was amused to find that a jeweler was one of the earlier shops in pioneer Seattle. I’d certainly like to know what he was setting! There weren’t enough ladies to be needing wedding rings, and I’m having trouble imagining my burly loggers sporting a jeweled cravat pin or snuff box. Perhaps watches? Regardless, the British jeweler in the Regency might work in gold or silver, setting gemstones from around the world—pearls from the Orient, diamonds from Africa, opals from Australia. He might also have to recut the stone to improve its brilliance. Prince Albert had the Koh-i-Noor diamond at the center of the Queen Mother’s Crown recut for that reason in 1852. According to the jewelers who managed the feat, the effort took 3 weeks, was overseen by the Duke of Wellington, and involved visits by state dignitaries. 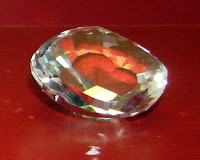 The final stone weighed 105.6 carats. Yowsers! The pictures show a replica of what it looked like before and after. The more prestigious the client, the more prestigious the jeweler. Garrad & Co, which recut the Koh-i-Noor diamond, has the distinction of being the oldest jewelry house in the world. They have served as Crown Jeweler since Victoria granted them a Royal Warrant in 1843. You might say they’re a cut above the rest, a real gem. The Wikipedia and Wikimedia Commons images of the diamond are from the user Chris 73 and are freely available at //commons.wikimedia.org/wiki/File:Koh-i-Noor_old_version_copy.jpg and //commons.wikimedia.org/wiki/File:Koh-i-Noor_new_version_copy.jpg under the creative commons cc-by-sa 3.0 license.